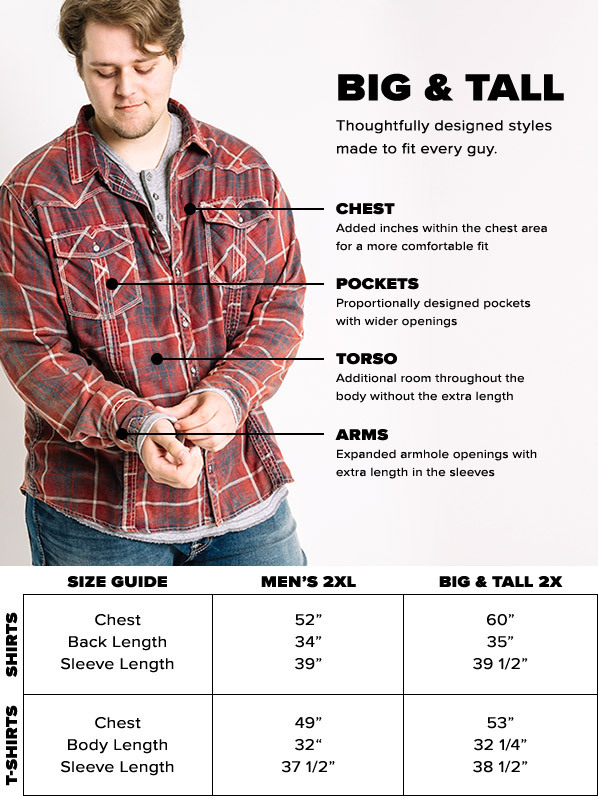 BKE Plaid Shirt - Big & Tall is rated 2.0 out of 5 by 1. Rated 2 out of 5 by Nation087 from Definitely not TallThey have the Big part down, but there is no way this should be considered TALL. I ordered 2 sizes up, shirt would wrap around me but only came down 2/3 of my stomach. Chest 60" 64" 68" 72"
Back Length 35" 35 3/4" 36 1/2" 37 1/4"
Sleeve Length (center back to cuff) 39 1/2" 40" 40 1/2" 41"